The Wild Storm #4 Review – AiPT! More spy shenanigans! While Grifter’s team fights to escape the IOs Razor soldiers, the Engineer hits the road, and we get a peek behind the lives of the IO’s Miles Craven and Skywatch’s Henry Bendix. 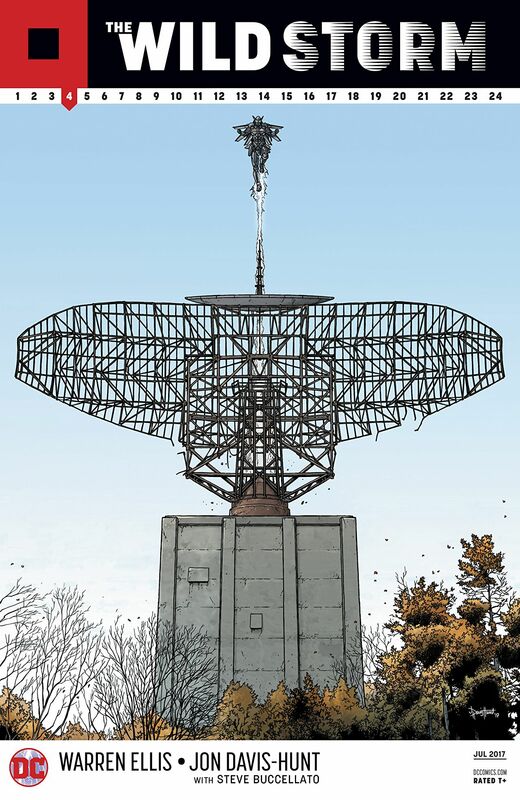 When we last left The Wild Storm, Ennis and Davis-Hunts’ return to the circuitous world of top secret alien spy organizations that helped define the Image line that bore the name, things were a bit of a mess. After an errant explosion knocked Void out of commission, Grifter, Kenesha and the Engineer were trapped in an abandoned relay station with two heavily armed Razor Soldiers. Before you could say superhero teamup, however, Engineer flew the coup leaving the CAT stuck in a firefight without means of extraction. Unfortunately, what seemed like a sticky situation in the previous issue is pretty swiftly resolved. Seriously, in the third panel of the book Grifter takes out the two remaining soldiers with little fanfare (though it is admittedly a cool page). Then it’s just a simple matter of taking the shrapnel out of Void’s head and our heroes are out of there. It’s…..deflating. Not to imply that issue 3 was too crazy of a cliffhanger, but come on. It feels like there were no stakes here. Further adding to this is the ambiguity of what I assume was the suicidal explosion of the third Razor soldier. We see him open a grenade, the CAT team teleports out, then his body cam goes black back at IO headquarters. We never go back to the relay station or talk about what happened, it’s just kind of there. The good news is that the rest of the book is character development, and it’s pretty great. I like the development of Craven and his husband’s open relationship (not THAT kind of open relationship). It’s interesting to see the character be so flippant about some of the craziness that he has to endure with his partner, as, until recently, I couldn’t imagine a powerful leader just giving out classified information without regard for it’s impact. That this is a gay character in a position of power, whose sexuality – while an important part of the character – is completely ancillary to his role in the story, is also pretty cool in my book. Just as interesting is the take on the mysterious leader of Skywatch, Henry Bendix. Who would’ve thought that the dour, stone-faced leader of the top-secret alien organization would prove to be such a solid comedic character? Yep, Henry is a crotchety old douchebag who barely knows what’s going on. It seems like the real force behind Skywatch may actually be his assistant, Ms. Pennington. Though she has thus far given off the stock “Pepper Potts” vibe that so many female characters get in modern comics, I’m looking forward to seeing her develop further in coming issues. Other than that, there’s not a whole lot to this book. It appears that IO has been stealing equipment from under Skywatch’s nose, Engineer has hit the road Bill Bixby style, and despite an inoperable brain tumor, Deathblow is going back into the field. Still, I can deal with light plot development if it means I get a better understanding of the extended cast – of which this title has plenty. 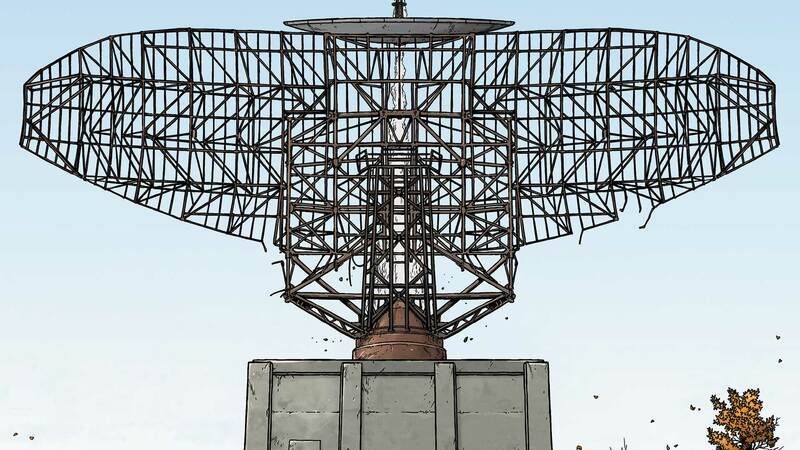 The Wild Storm continues to be a twisty, turny tapestry of half explained concepts from the source material’s former canon and cool super-spy updates of simpler concepts that don’t need much explanation. It’s fun, and if you can keep up, it’s an interesting ride, but the further the story goes the more evident it becomes that this is not a ‘light read’ or for casuals. That being said, Ennis has a real mind for characters, and it makes you want to learn more about these people, so it’s a bit of a trade off.